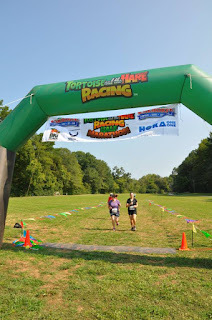 Running The Race Before Us: I did it! I did it! I resolved to run a few (three) 10Ks this year, and this past weekend, I accomplished that goal. 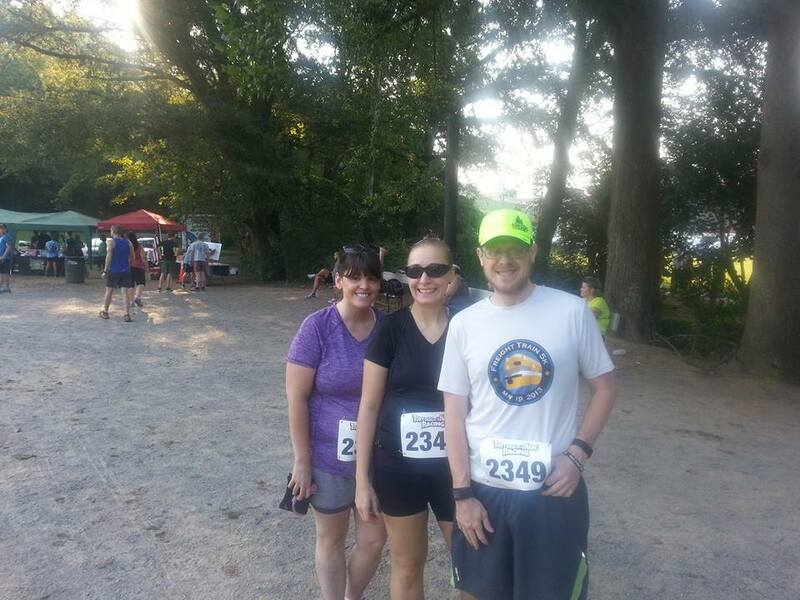 My third, and final, 10K of 2015 was a trail run at a local park. 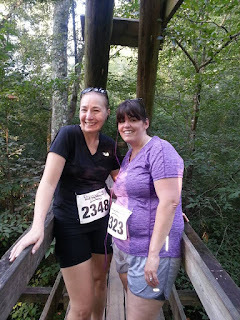 My running buddy, Jaimee, found this race and resolved to run it as her first 10K, so I had to run it with her. There was no way I was going to let my best running buddy run her first 10K without me! Besides, she was quick to point out that we we would get a medal for finishing this race. And because racing bling is a runner's best friend, it was just another reason to say yes to this particular race over any others offered this labor day weekend. And my hubby got to join us! 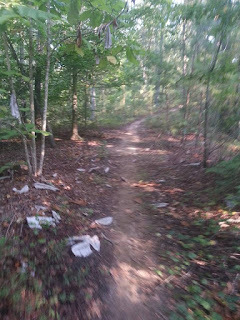 This was my first trail run, and it wasn't easy! The running path was at times so narrow that putting one foot in front of the other was nearly an impossibility. In other areas of the trail, roots from the trees had popped up into the path. There were tripping hazards everywhere. And to top it all off, there were a few bridges runners had to navigate. We stopped for a quick pic. Many thanks to the runner who didn't mind stopping to take this pic for us! 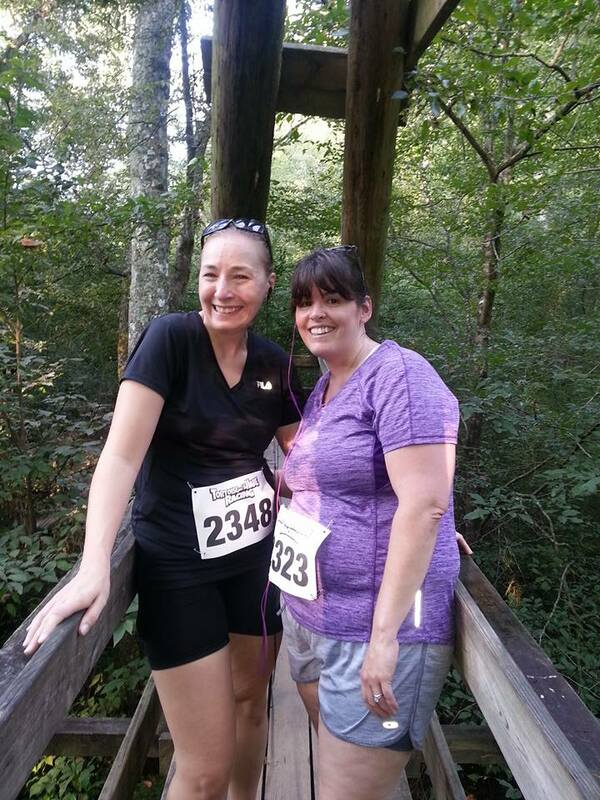 By the time we got to the first bridge, we knew we weren't running this race to see how fast we could finish. 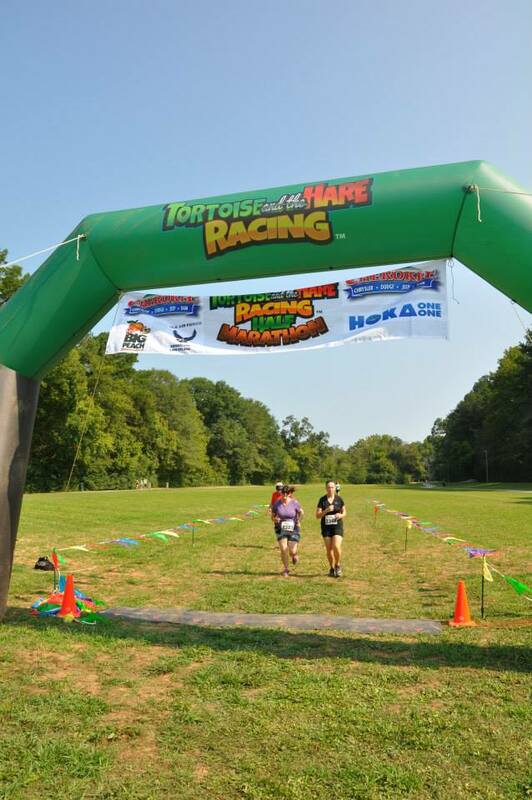 The goal for this race quickly became, simply put, to finish. We were pretty focused on that goal, but we also tried to take in the beauty surrounding us as we were running. It was, truly, a beautiful course. 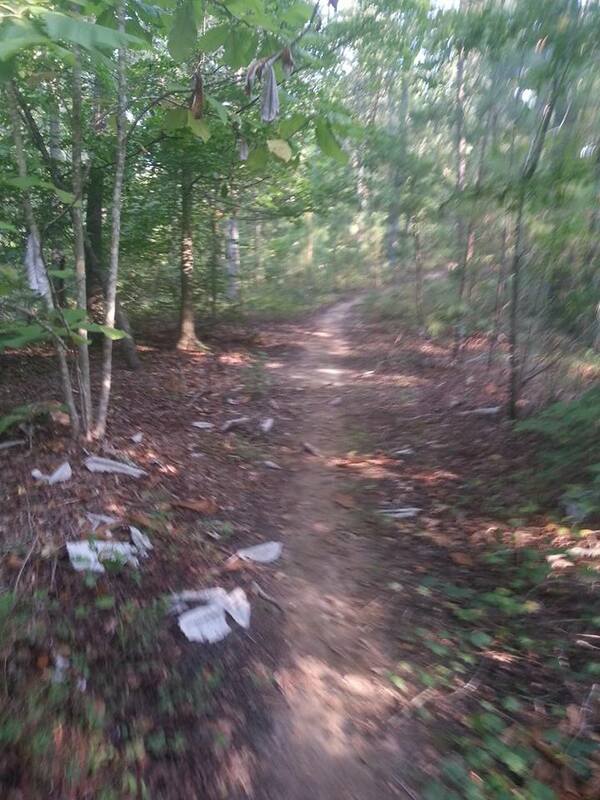 There were a few areas where you could actually run, but most of it was too dangerous to run quickly. We spent a good amount of time during this "race" hiking, not running. Would I run this again? Probably not. But I am glad I did it. It was a great challenge and the perfect way to end my 10K goal for 2015. 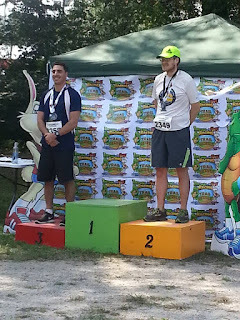 The medal I received for this race symbolizes a couple great running accomplishments for me - (1) for running this particular trail course and (2) for running three 10Ks in one year. 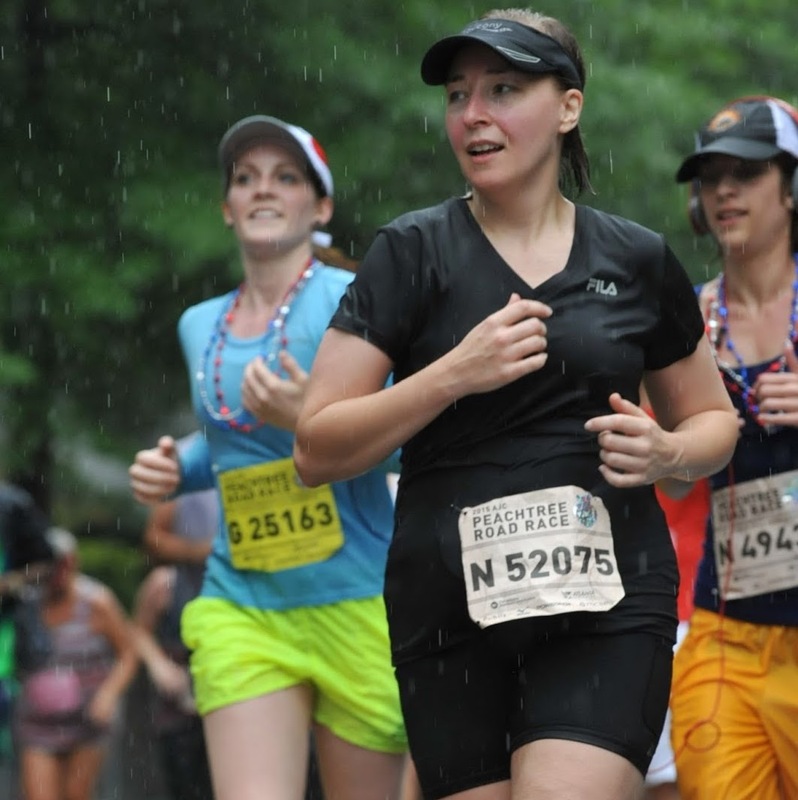 Crossing the finish line felt great for those reasons. 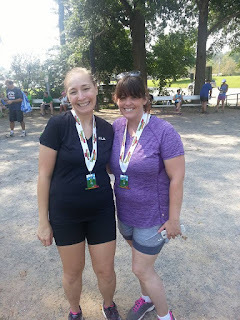 And crossing the finish line with my running bestie made it even sweeter! 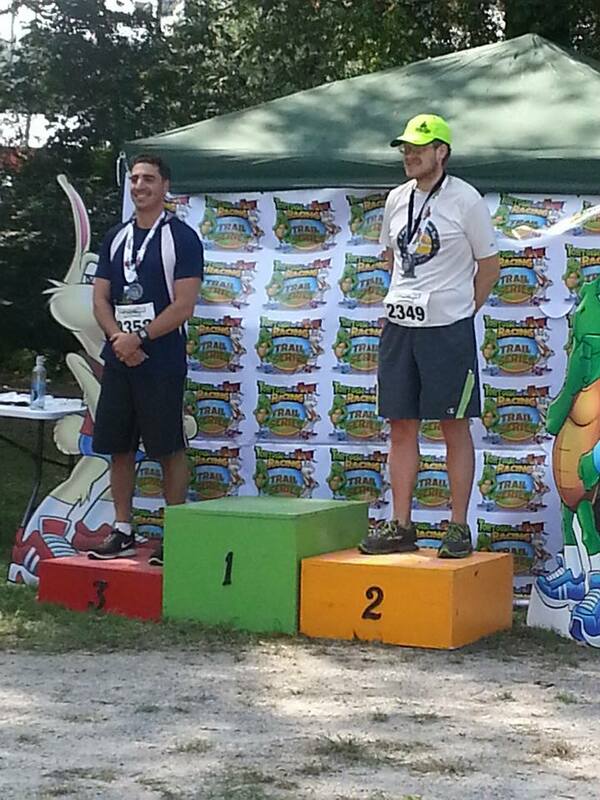 Also sweet... My husband got second place in his age group! Hello, Mr. Speedy! This is definitely one of those races I'll look back on fondly. Finished! And we got our medals! Congrats, girl! That's quite the accomplishment!